Houses & Homes VA: Can video games actually be harmful to our children? Can video games actually be harmful to our children? Today more than ever young people spend a lot of time playing video and computer games. Many parents are concerned that too much of this past time is unhealthy for their children and that perhaps other activities would be more beneficial. According to developmental psychologist and child expert Douglas Gentile there is cause to worry. Here are some of the reasons that excessive amounts of time spent playing video games can have a negative effect on your child or teenager. 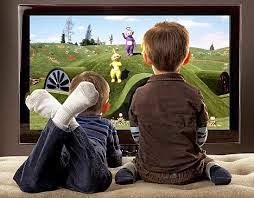 It comes as no surprise that children that spend 10 hours or more a week watching television don’t do as well in school as children that do not. This is more common sense than anything else and any parent knows that “hitting the books” will equate to better grades. Too much time spent on other activities (including video games) means less time spent studying and working on school projects. Regardless of what diversion your child enjoys it is important that specific time be set aside for school assignments and other responsibilities (such as household chores) that he/she is expected to do. The same as watching violent movies, games which portray aggressive behavior and violence can actually affect your child’s real life personality. It’s also important to remember that many games today are much more adult oriented and aside from excessive violence may also contain sexually explicit material which you may not deem appropriate for younger persons. Even if you do limit the amount of time that your child is allowed to play it’s a good idea to make sure that the games he/she is playing are age appropriate. Much of what we do as adults began when we were just children. Those of us that are taught self discipline at an early age tend to become more disciplined adults. Wasting time that could be better spent is something that we learn as children. Simply stated, lazy children often become lazy adults and that can affect our social lives, work lives and personal relationships with others. Today the average boy in 4th grade spends about 9 ½ hours playing video games only. That does not include time spent watching movies, chatting with friends or other “screen time”. Limiting your child’s time that is spent on frivolous activities will benefit him/her for the rest of their lives. Childhood is the time of our lives when we develop the necessary social skills that we will need the rest of our lives. Spending time with others is important for young people and so are regular physical activities. Playing outside on a nice day is always better than sitting in front of a screen and too much time alone could even cause a young person to become “socially awkward” and unable to communicate well with others. For the sake of both their physical and mental health young persons should spend time with family members as well as people in their own age group. This will help to ensure that they grow up a well adjusted adult that is able to function well in almost any social situation. You can’t learn that from any game. Does all of this mean that children should never be allowed to play video or computer games? Not at all! There are many quality games that can teach our young persons a variety of skills and increase their knowledge and playing games with others is, in a sense, a social activity in and of itself. The best advice that Dr Gentile has to offer is simply this: Limit the amount of time that your child is allowed to spend playing video games and be aware of exactly what types of games they are playing. I still remember something that my mother used to say when I was a child, “Everything in moderation”.